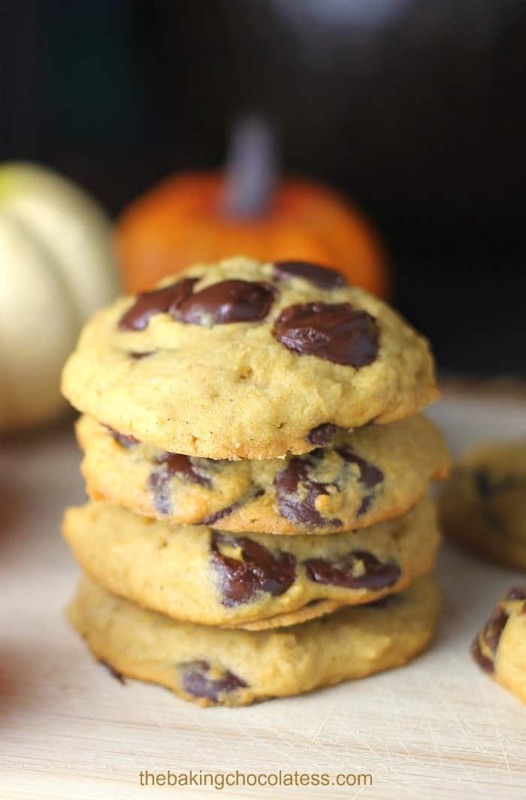 Soft, chewy exquisite pumpkin cookies adorned with luscious chocolate chips are AWESOME! 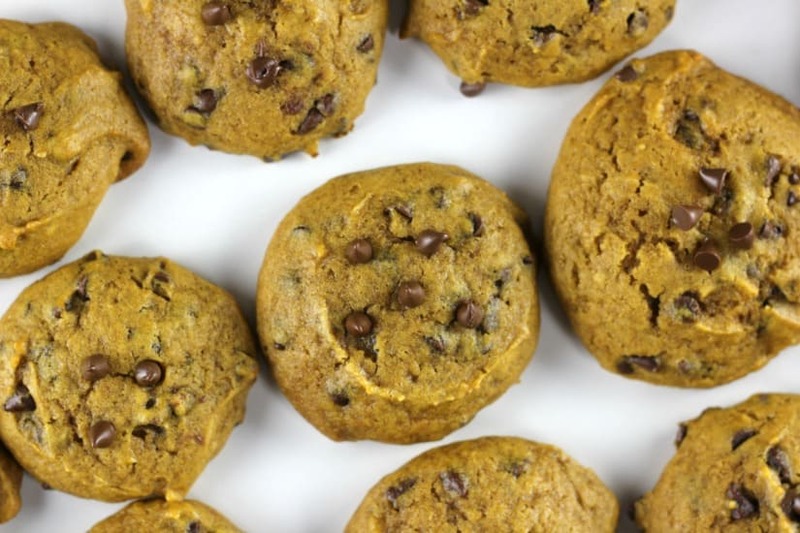 Just in time for the ‘pumpkin everything‘ season and one of the our favorite ways we like to incorporate pumpkin is in cookies! 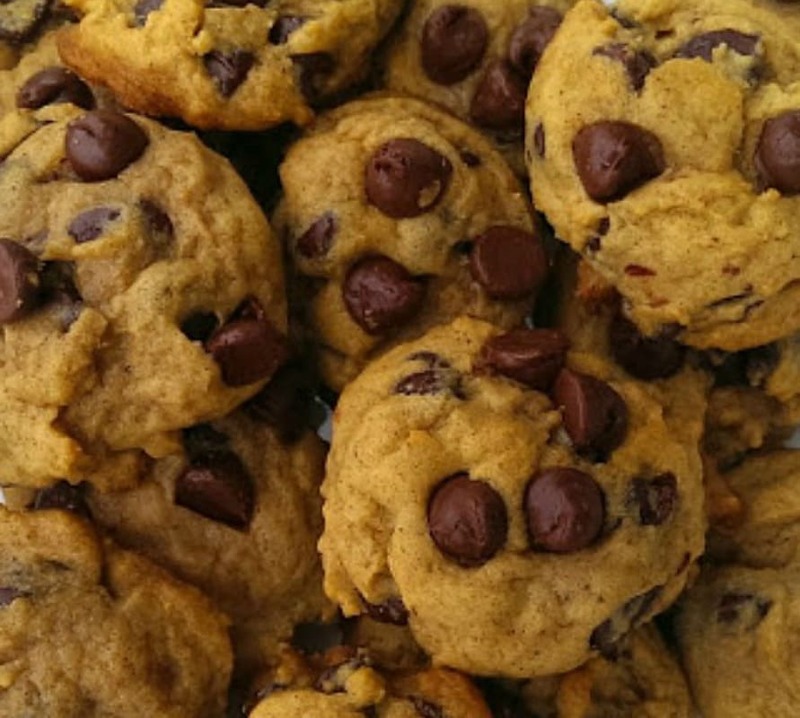 Especially Awesome Chocolate Chip Pumpkin Cookies! ChocolaTess Trivia —–> DID YOU KNOW? Pumpkins are gluten free? Pumpkin is a fruit? Pumpkins are 90% water? A pumpkin is not a Jack O’Lantern, until it is carved? Pumpkins were used as a remedy for snake bites? Pumpkins originated in Central America? 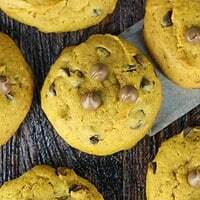 Pumpkin flour can be used in place of wheat flour? Pumpkins are rich in Vitamin A and potassium? Pumpkins are also high in fiber? The self proclaimed “Pumpkin Capital of the World” is Morton, Illinois where Libby has it’s pumpkin industry and plant? I only knew a few of these, so I’m schooled now. Now, back to these pumpkin cookies! 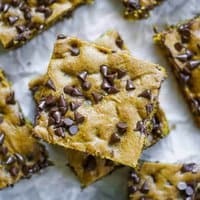 These cookies are soft, not cakey, yet they are very light and because of the pumpkin, no eggs are needed. Pumpkin spiced and chocolate yumminess in every bite, especially when you use Ghirardelli Bittersweet 60% Semi-sweet Chocolate Chips. Yum!! 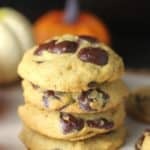 Soft, exquisite pumpkin cookies adorned with luscious chocolate chips are AWESOME! 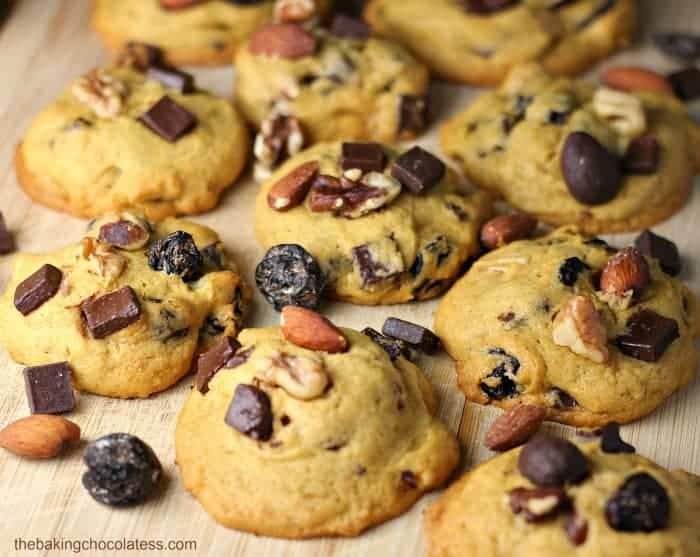 Just in time for the 'pumpkin everything' season and one of the our favorite ways we like to incorporate pumpkin is in cookies! Preheat the oven to 325 degrees. Line baking sheet with parchment paper or spray with non-stick spray. Using a mixer, in a bowl, cream together the butter and sugars until light and fluffy. Add pumpkin, vanilla and water, and mix until combined. Add in the flour, baking powder, soda, salt, cinnamon and pumpkin spice to the pumpkin batter and mix until combined. Stir in the chocolate chips. 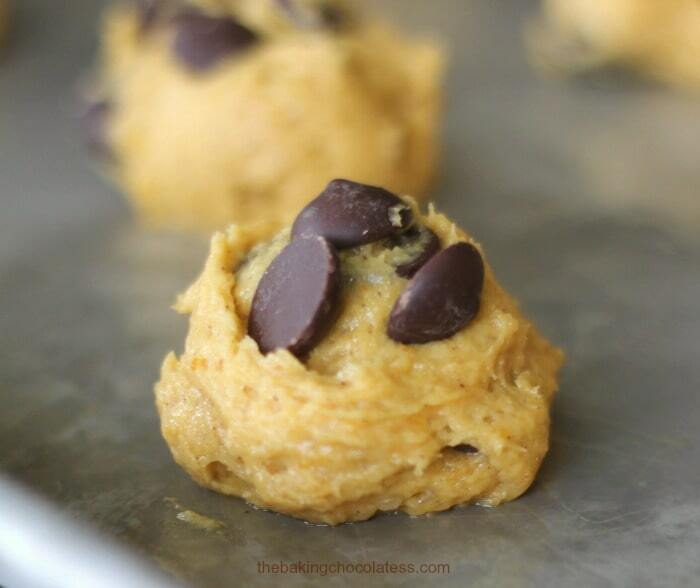 Drop the cookie dough by heaping tablespoonfuls or a small cookie scoop onto the prepared baking sheet. Bake for 10-11 minutes until the edges are set. Let them cool 3-4 minutes on the baking sheet before removing to a wire rack to cool completely. The cookies will flatten out a bit while they cool. 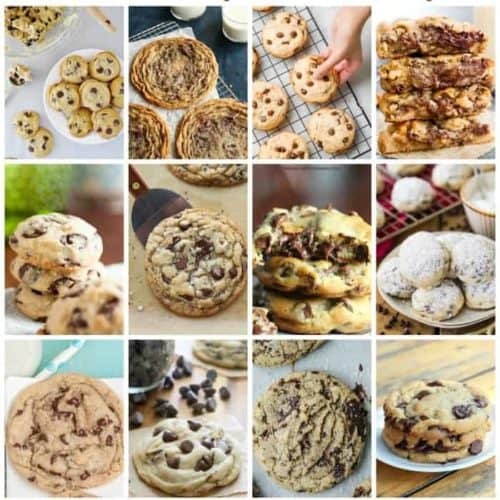 Cookie dough will be very soft. Thank you Teresa! They definitely get gobbled up quickly! Fun pumpkin facts AND a yummy recipe!! Thank you! Thank you Kelly! 🙂 We can never have enough pumpkin facts or cookies! 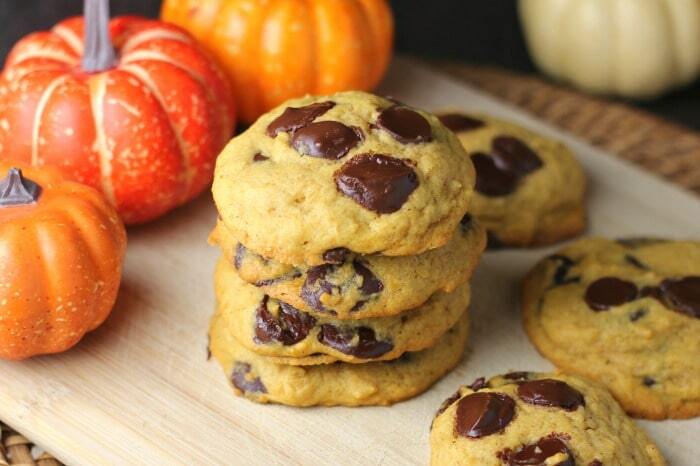 I love pumpkin chocolate chip cookies! Yours look great. Thank you Genie! You should try them. 😉 Thanks for being so sweet!